Attend this webinar hosted by ASG, and featuring guest speaker Cheryl McKinnon, Principal Analyst at Forrester Research, to learn about the top trends shaping the ECM market and benchmark your own program against industry peers. Businesses today demand agility, integrations and interoperability. Documents contain data that is hard to mine for insights in older suites – thus analytics increasingly drives content management roadmaps. 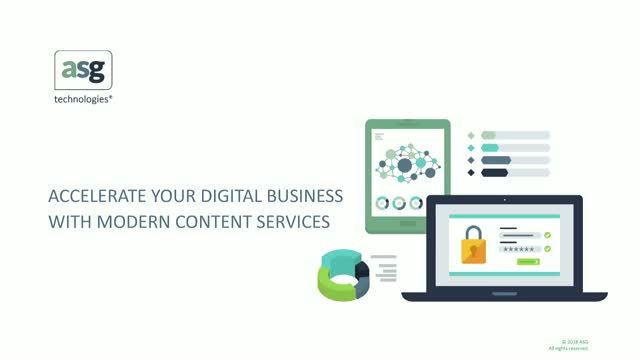 Join us and hear how companies like yours are addressing new use cases for content management and delivery.